Bruno Berner has ended his professional football career having cancelled his contract with Leicester City by mutual consent. The move - widely anticipated since early January - will come as no surprise to loyal Filberts who have been aware of Berner's desire to take up a coaching position abroad for some time. The former Swiss international became a favourite amongst Foxes' fans after he aided the club to the League One title having joined Nigel Pearson's side earlier in the 2008/09 season. The 34-year-old made 98 appearances for City. "I think it's important that we recognise that he has been a very positive influence at our Football Club," said Pearson, "There comes a time for every player to call it a day, but Bruno is a bright man and a very good man, so we wish him all the best. "I've got an awful lot of time for Bruno, he's been a great servant for the Club and we wish him every success in the future." Berner played for Grasshopper Zurich and FC Basel in his native Switzerland before enjoying a spell with German side Freiburg and a brief time on loan at first-tier Spanish outfit Real Oviedo. He joined Blackburn Rovers in January 2007 but, having made just six appearances, opted for a move to the Walkers Stadium in September 2008. During his career, Berner picked-up a Swiss Super League title with Grasshopper and 16 caps for his country. 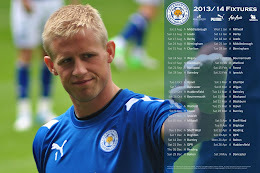 "I'd like to take this opportunity to thank everybody involved with Leicester City Football Club for their support over the past three-and-a-half years, during which time I enjoyed a lot of personal highlights," said Berner speaking to the club's official website, "As a player, I dreamt of playing professional football in this country and the chance to play for Leicester City provided me with the opportunity to prove myself in the English game. "I have made the decision to retire from playing professional football and am now looking forward to commencing the next chapter of my life. I wish Leicester City Football Club the very best of luck for the future and would like to send special thanks to the supporters, who have always been great to me. I will remember that support - goodbye to you all."